Call ECOS On 970-925-3267 To Hire The Best Carpet Cleaning Company In Your Local Area. ECOS Is Regularly Hired By 5 Star Resorts and Restaurants. ECOS Professionals Have Over 13 Years Of Experience Cleaning Carpets. ECOS Can Provide References Upon Request. ECOS Gives You A Questionnaire To Help Select A Company For Your Project (see bottom of page). Top 10 Reasons why Clients should have ECOS clean your carpets? The same ECOS professionals that clean carpets for the major resorts and hotels will also clean your carpets. ECOS Has Many Commercial Clients Including Some Of The Premier 5 Star Resorts, Hotels, & Fabulous Restaurants. We Also Provide Exceptional Customer Service To Realtors & Residential Clients. 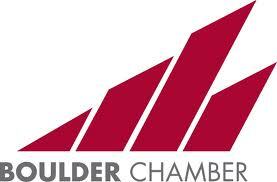 Below, we highlight a video of our carpet cleaning work at the Residence Inn in Aspen, Colorado. What a Beautiful Hotel and we are proud that they choose ECOS to clean their carpets! ECOS Can Respond Quickly From It’s Aspen Office (see map below) & Has Done Emergency Carpet Cleaning Jobs For Aspen, Colorado clients. We can schedule a carpet cleaning appointment that works extremely well with your schedule. ECOS professionals work 24 hours a day and 7 days a week, so we can handle emergency carpet cleaning jobs as well. We recently did a commercial job where they needed emergency cleaning overnight in preparation for another party. One of our main goals is to schedule convenient appointments for you! Our carpet cleaning professionals show up on time and are IICRC certified, fully insured, and bonded. Plus, our company conducts full background checks so you can feel safe letting our carpet cleaning professionals into your home. Our goal is to clean your carpet hassle free at a reasonable price. With guests, kids and pets running in and out of the house during the mud season, we could all use some floor maintenance now and again. ECOS Environmental offers full service floor cleaning and conditioning at affordable rates. Because ECOS specializes in restoration, our detail-oriented technicians are the most qualified people to get the job done. Whether you are located at a business or a residence, ECOS will leave your property feeling fresh, clean and free of allergens. 1. What training do you have in carpet cleaning? Where did you get this training? 2. How long have you been cleaning carpets? 5. How many people do carpet cleaning for your company? 6. What kind of equipment do you have? 7. What chemicals are you going to use on my carpet? 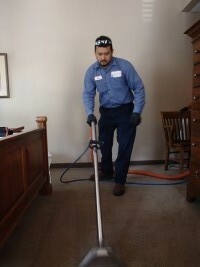 Carpet Cleaning Aspen Colorado. We are IICRC certified, fully insured, bonded with 11 yrs of carpet cleaning experience. Call 970-925-3267 to hire Aspen's best!